Hypothyroidism is a hormonal condition where the thyroid gland becomes dysfunctional and does not produce enough thyroid hormone. Without thyroid hormone, many of the body's systems can become unbalanced. One of the side effects of these imbalances is the appearance of dry skin all over the body, which can be painful, itchy and irritating. Soothing dry skin caused by hypothyroidism can be accomplished by applying a few natural home remedies. Dry skin can cause the skin to become very itchy and irritated. It is important to soothe this itchiness, which can exacerbate the problem. There are many ways to relieve itching, but an effective natural option is to apply aloe vera gel and oatmeal. Although Calamine lotion is known to eliminate itching, it is too drying to be applied to dry skin itch, and should be avoided. Instead, apply cool oatmeal to the area, allow it to sit on the skin for up to 30 minutes, then rinse it off. 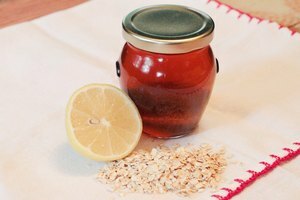 Spread a thin layer of aloe vera gel onto the area after the oatmeal has been rinsed off, and let it absorb into the skin completely. Repeat this process as often as necessary. Because dry skin caused by hypothyroidism can be chronic, using oatmeal and aloe vera gel routinely is helpful in reducing the dry skin and itching caused by the disease. Dry skin caused by hypothyroidism requires more hydration than normal or oily skin, and should be moisturized frequently using an emollient, natural oil. 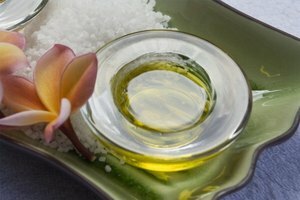 Commercially-produced lotions can contain irritating chemical ingredients, but using a naturally soothing oil that soaks into the skin, such as olive or jojoba oil, will moisturize the skin without drying out or inflaming the area. Spread a generous amount of oil onto the skin, and gently massage it in. Continue massaging until you can feel the oil beginning to absorb into the skin. Allow the oil to soak in, wiping away any excess with a soft washcloth. Dry skin can worsen when it is repeatedly bombarded with hot water, which dries out the skin even more and can cause inflamed areas to become irritated. Although taking baths can be helpful for dry skin, taking very hot baths can be harmful. When taking showers and baths, keep the water temperature cooler than normal, and resist the urge to heat it up. After you dry off, moisturize the skin again using a natural oil.